I am kind. I am giving. I am loving. I am thankful. I am faithful. I am a servant. I am a leader. I am a good mom. I am a good wife. I am a good daughter. I am a good sister. I am a good caretaker. I am a good cleaning lady. I am a good writer of God’s word. I am a good singer. I am happy that God gave me these gifts. Wow. That was hard. I am terrible at telling myself the good that lies within me. It is so necessary to tell yourself good things, yet so very difficult at the same time. It seems like bragging, but yet God wants us to acknowledge our gifts and see good within ourselves; after all He gave us those gifts. Most of the time, I find all the bad things I have done in a day and I acknowledge them quite well. It seems tedious to acknowledge the good. It almost feels uncomfortable. Why is it that most of us have a hard time doing this? Why is it that the people that find it easy are usually the ones that take pride into overload? It just isn’t natural to spew out your good traits, but yet it is so necessary. God wants us to find the good in ourselves, but he doesn’t want us to take it to the point of pride. So just what is the difference between pride and acknowledging God’s gifts? Why is it so important to acknowledge what God gave you? Are you beginning to see the difference? Pride takes you away from God. Pride comes from power. When we choose to be prideful, we choose to let evil reign in our lives. Uzziah chose power over God that day. My guess is that Uzziah was slipping downhill for a while. He probably slowly allowed himself to take pride in the gifts that God gave him. When we choose to give God the acknowledgement for our strength, we choose to let God reign in our lives. There is a difference, but it is a slippery slope. It is so easy to fall into pride even when you are acknowledging your gifts. It is so easy for me to say, “Thanks God, BUT I did make the choice to do it this way.” Giving it all to God is hard! Let’s take an everyday scenario. I help lead a group of women through a retreat weekend. After the weekend, the women then commit to 6 months of meetings to prepare and put on the next retreat. I stay with them and lead their team through this journey. My ministry is really just to facilitate the meetings, not necessarily be the “head honcho.” During this six months, I start to look at the retreat as my “baby.” It is a natural response because I am the one who takes the ultimate responsibility for the weekend. I guess you could say the “buck stops here with me.” Well, as you can imagine, every weekend is different because the groups are all eccletic. I have to let them make decisions that I know may not work. These decisions sometimes can cause problems that just move on to the next group (they are cyclical). Sometimes I feel God calls me to step in, but other times, I feel God calling me to allow them to learn from their mistakes. In the end, I usually take the heat from the clergy. What I have found is that taking the heat, gives me a reason to acknowledge that God is in charge – not me! (Thank goodness for that because the church would be in trouble if I was the strength behind the weekend)! Even if the people around me see and pinpoint the errors of the weekend, I know that if I give the power to God (and not to me), then God’s plan will be able to unfold. I know it seems wrong to let something bad happen, and I know that it seems like I am giving in, but sometimes that is the way it works. Taking the “heat” for something is not a bad thing. 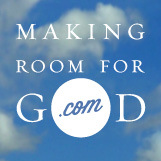 Don’t get me wrong – I love this ministry. It is difficult, but I find myself completely allowing God to take over. It is one of the few times that I just let God do His thing through me. When I take over, I find I become anxious, worried and fearful of what others might think. So I know when I let my pride sneak in – it is obvious. Acknowledging that God has given me the gifts to take on these ministries is wonderful. When I recognize that God gave me patience, God gave me the power to facilitate, God gave me Wisdom, and God gave me the ability to help women; then I am relinquishing the power to God, not to evil. Don’t let your pride get to you. Acknowledge the gifts God gave you – and do it often. Have your family acknowledge each day the gifts that God gave them to get through the day. Take the power from evil and place the power with God! This entry was posted in Faith, Family, God, Jesus, Religion, Uncategorized, Women and Christianity and tagged acknowledging, gifts of God, pride, scripture. Bookmark the permalink. I really like your post today, we really ought to recognise our gifts more often, not to boast in ourselves but with thankful hearts for what He has given. Bless you! Thanks! It is hard to allow ourselves to say good attributes aloud about ourselves. I am a work in progress.